Tinnitus is a condition in which the patient is subject to a consistent level of ‘phantom’ ringing or buzzing in the ears. It is not clear what causes it, although environmental and occupational factors have been implicated in the development of the condition. Most people with tinnitus do not face major adversity related to it. Other patients, however, report being significantly affected in terms of normal functions because of tinnitus. There is no known cure, and current treatments may be ineffective for some patients. 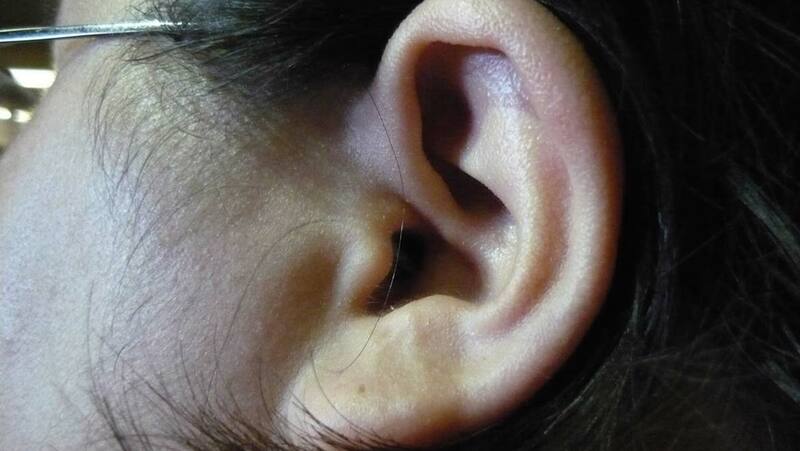 However, a recent study demonstrates a new strategy to reduce the intensity of tinnitus symptoms. This paper describes how the research team behind it tested it in both animal and human subjects, in whom the effects of their condition were reduced. Tinnitus is the perception of persistent noise in or near the ear, in the absence of actual physical sources of sound – i.e. a somatosensory disorder involving sound. It can be a chronic condition that intrudes into one’s normal life, although the actual extent of this adversity varies from patient to patient. Some studies report that 10 percent of all tinnitus patients report that they are negatively affected by their condition. On the other hand, others estimate that up to 2 percent of all people in the Western world are thought to suffer from chronic tinnitus which may be associated with significant detriments to life quality. Research has also not yet defined the actual prevalence of tinnitus; studies on the subject put this figure between 5 percent and 42 percent of the populations they assessed. However, there are more concrete associations between tinnitus and specific factors such as concomitant hearing loss and older age. The development of tinnitus may also result from taking certain medications, otological infections or exposure to loud noises, and is also relatively common among those who have completed military service. The actual source of the ‘noises’ perceived by tinnitus patients is currently understood to result from a neurological event known as dysregulated synchrony. This occurs along the neural structures associated with aural processing, and typically starts off in the dorsal cochlear nucleus (DCN). The development of this desynchrony may result from direct physical damage from these structures. This is based on patient self-reports of variations in the volume or pitch of ‘tinnitus noise’ as a result of the manipulation of certain parts of their head or neck. Some patients may also use the muscles of their jaw or face to modify the ‘noises’ they perceive. Animal models of tinnitus also exhibit abnormal neural activity in the fusiform cells of the DCN, which contributes to the somatosensory ‘output’ of this nucleus. However, treatment that involves direct interaction with this area of nervous tissue, or any other regions involved in tinnitus, are surgical procedures such as vagus-nerve stimulation. Although these therapies are technically available, they are associated with potentially severe risks and side-effects and are rarely indicated for tinnitus patients. Therefore, the majority of tinnitus treatments are in fact psychological therapies that attempts to modulate the negative reactions (which may include the symptoms of anxiety or depression) patients may harbour towards their condition. However, some researchers assert that a more direct neurological therapy may be of more benefit for patients with tinnitus. This could consist of auditory stimulation patterns that could ‘cancel out’ the somatosensory impulses that are emitted by dysfunctional fusiform cells. A team of researchers developed a method of cochlear stimulation that consisted of exposure to a sound of an appropriate frequency with electrical stimulation of the neck through the skin. This intervention, termed bi-modal stimulation by the scientists, was tested in a model of tinnitus (induced by noise exposure) in guinea pigs for 25 days. It was found to significantly reduce the behavioural responses and neurological markers that are associated with the condition. The team of researchers (working at the University of Michigan (Ann Arbor) and McMaster University in Canada) then moved on to test their new treatment strategy in humans. They recruited 20 patients who took place in a crossover, double-blinded trial. Ten of these participants received either the bi-modal stimulation every day for four weeks, whereas the other ten received the control treatment. At the end of this first stage, the investigators switched each group to the other treatment for another four weeks. The results showed that the bi-modal treatment resulted in decreases in the self-reported volume of tinnitus noise that were significant compared to the baseline ‘loudness’ and the volume associated with the control treatment. The bi-modal treatment also resulted in significant improvements in the pitch and ‘harshness’ of the patients’ tinnitus, as quantified using a psychometric tool (the Tinnitus Functional Index, or TFI) used to measure tinnitus in clinical settings. In addition, two patients reported that the bi-modal treatment resulted in a complete ‘silencing’ of their tinnitus after one of the four-week periods. On the other hand, the researchers reported that the volume-related beneficial effects did not persist when these treatment periods had elapsed, although the changes in TFI scores did. The researchers also reported some other interesting findings, such as that either the aural or electrical stimulation types alone did not have a significant effect on tinnitus. In fact, the electrical stimulation alone was associated with increased tinnitus-related responses in the guinea pigs (which led to the decision to leave that treatment condition out of the human trial). The patients also reported that the bi-modal treatment led to significant improvements in their cognitive functions and sleep, as well as decreased tinnitus-related intrusions on their lives, compared to these factors at the start of the trial. However, this study was limited in its scale, patient population and the types of tinnitus treated. On the other hand, it is a non-invasive and relatively straightforward alternative to other neurological treatments currently under evaluation for use in tinnitus. Hopefully, it will be developed further into something that can help the estimated millions that suffer from severe tinnitus. Marks KL, Martel DT, Wu C, Basura GJ, Roberts LE, Schvartz-Leyzac KC, et al. Auditory-somatosensory bimodal stimulation desynchronizes brain circuitry to reduce tinnitus in guinea pigs and humans. Science Translational Medicine. 2018;10(422). Ralli M, Greco A, Turchetta R, Altissimi G, de Vincentiis M, Cianfrone G. Somatosensory tinnitus: Current evidence and future perspectives. The Journal of international medical research. 2017;45(3):933-47.